Presidents' Day is always celebrated on the third Monday in February. The day pays homage to all U.S. presidents. The holiday was originally established in 1885 to recognize President George Washington. 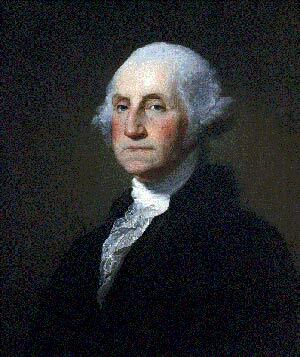 It is observed Feb. 22, Washington's actual date of birth. The holiday became widely known as Presidents' Day after 1971's Uniform Monday Holiday Act. The Act was established to create more three-day weekends for U.S. workers. It was signed into law June 28, 1968, and took effect Jan. 1, 1971. But the New York Stock Exchange still calls today Washington's Birthday – with an asterisk. The Monday Holiday Law, enacted in 1968, shifted the date of the commemoration of Washington's Birthday from February 22 to the third Monday in February, but neither that law nor any subsequent law changed the name of the holiday from Washington's Birthday to President's Day. Although the third Monday in February has become popularly known as President's Day, the NYSE's designation of Washington's Birthday as an Exchange holiday (Rule 51) follows the form of the federal holiday outlined above (section 6103 (a) of title 5 of the United States Code). The Act also moved Memorial Day (May 30), Columbus Day (Oct.12), and Veterans Day (Nov. 11) from fixed dates to designated Mondays. Veterans Day was removed from the "always-on-Monday" holiday list back to its traditional Nov. 11 date by a 1975 act of Congress. The change took effect in 1978. Efforts to have Lincoln's birthday recognized as a holiday began right after his death in 1865. By 1890, 10 states observed Lincoln's birthday as a paid holiday. By 1940, the total was 24 states and the District of Columbia. Still, there has never been a federal Lincoln birthday holiday. Indiana also recognizes Lincoln's birthday, but observes it on the day after Thanksgiving. California ended its official paid Lincoln birthday holiday for state employees in 2009. Now, thanks to Presidents' Day, Lincoln gets the recognition he deserves. Yet, he has to share the limelight with 44 (and counting) others. Presidents' Day, er, Washington's Birthday, is one of nine holidays when the NYSE is closed for in 2015. After all, markets move up AND down, which means there is plenty of profit potential to be had in both directions. George Soros made $1 billion in a single trade that famously almost broke the Bank of England in 1992. John Paulson made billions from the housing crisis by betting against the grain. Doug Kass of Seabreeze Partners is famous for bucking conventional wisdom on seemingly mighty companies and laughing all the way to the bank. That's why shorting is one of the first tactics I shared in my Total Wealth publication. Now shorting stocks isn't for everybody – it takes guts, conviction, and a whole lot of discipline to do it profitably. But done right, it can really boost your profits.